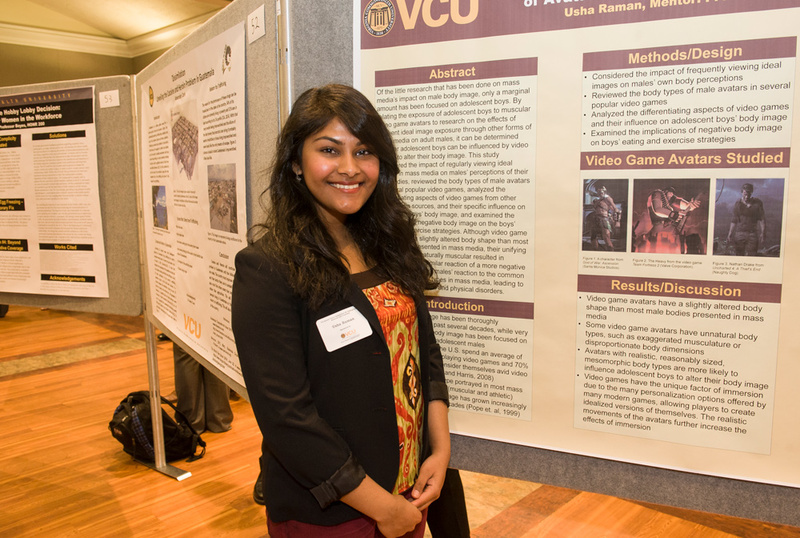 The Undergraduate Research Opportunities Program supports undergraduate students interesting in pursuing academic research as part of their VCU experience. Under the leadership of Herb Hill, UROP provides guidance to students from preparation to publication. Among the services UROP offers include identifying upcoming funding and presentation opportunities, connecting faculty and potential research assistants, travel grants to support students presenting outside of Richmond, and support in creating research posters and oral presentations. The program also oversees the annual VCU Poster Symposium for Undergraduate Research and Creativity, which offers students the opportunities to present posters profiling their work with VCU faculty, peer students and the rest of the university community. To learn more about VCU's Undergraduate Research Opportunities Program, please visit the Office of Research and Innovation website. Visit the VCU undergraduate research website to learn more about upcoming research opportunities and support services.